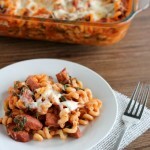 Nacho Supreme Skillet Pasta - Dessert Now, Dinner Later! This post has been sponsored by VELVEETA Cheesy Skillets/Kraft Foods. All opinions are 100% mine. 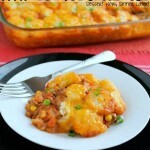 I am a big fan of one pot, or in this case, one skillet meals! So when VELVEETA Cheesy Skillets asked me to be an ambassador for them, I didn’t hesitate! VELVEETA Cheesy Skillets are premium dinner kits that offer consumers delicious and easy dinnertime solutions, featuring that smooth, creamy Liquid Gold VELVEETA cheese sauce we all know and love. 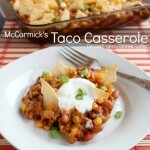 My favorite part is that it takes ONE skillet to make! Apparently, there were THOUSANDS of skillets listed on online auction sites. When VELVEETA noticed this, they thought the only explanation for this is that these sellers must not know, or have forgotten, what their skillets are for. Now, check this out: VELVEETA bought more than 1,000 of these skillets and sent them back to their sellers with a box of VELVEETA Cheesy Skillets to show these sellers what their skillets are for. I’m not even kidding, just check the hashtag #whatmyskilletisfor on twitter or instagram. I had a great time seeing how shocked some people were to get their skillets back with dinner included! That’s like the best day ever, don’t you think? Now let’s get to today’s recipe, it of course uses VELVEETA Cheesy Skillets. 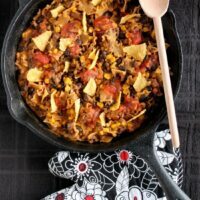 I chose Nacho Supreme and added black beans and corn for more color and for a fun festive twist, topped it with some broken tortilla chips and spoonfuls of salsa. It only took 20 minutes or less, start to finish, and was done all in ONE SKILLET! Love these kinds of meals! 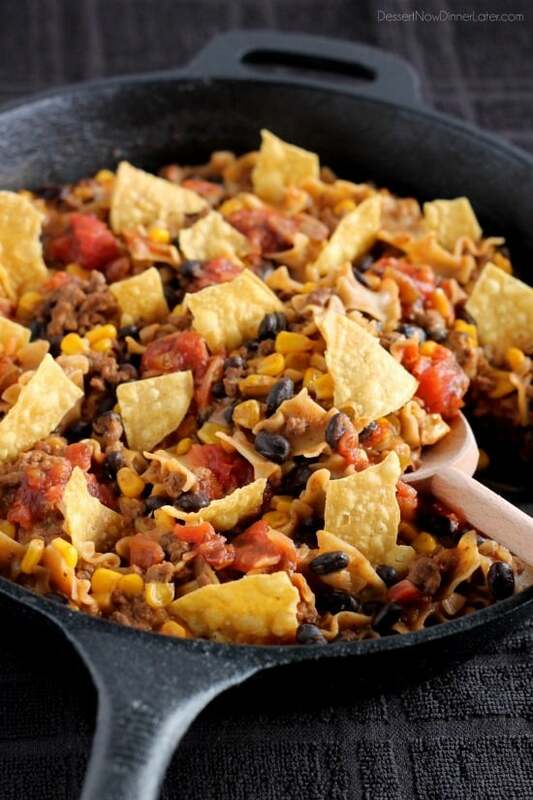 Want to know more about the VELVEETA Liquid Gold products and additional recipes available to you? 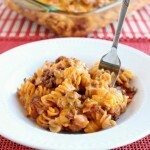 Check them out on Kraft’s website HERE or on Velveeta’s Facebook page HERE. 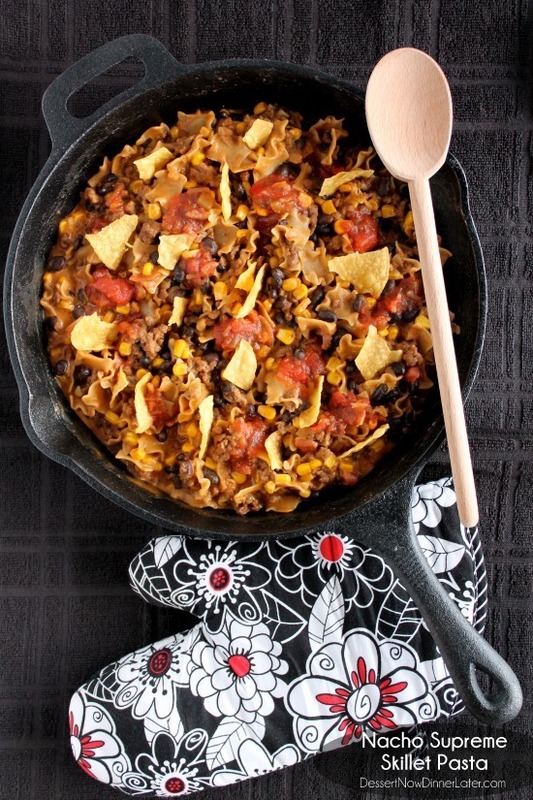 I hope you wield the power of your skillet and make a meal the whole family will enjoy! Brown the beef in a large skillet. Drain the fat and return the beef to the skillet. Add 2 cups of water, and the seasoning packet and pasta from the dinner kit. Add the drained beans and corn now as well. Cover the skillet with a lid. Simmer and stir often until most of the water is gone, about 9 to 11 minutes. Remove from heat. Add the VELVEETA cheese sauce pouch and salsa pouch from the dinner kit. Top with broken tortilla chips. 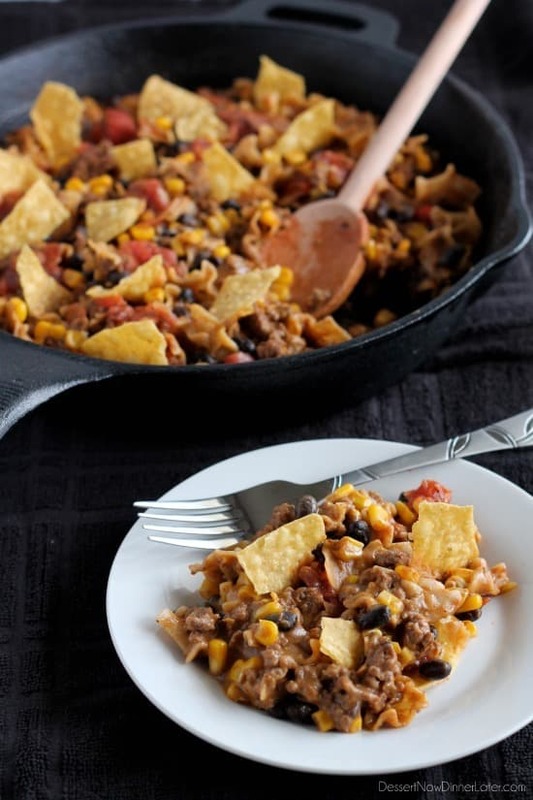 Greatest nachos ever, these are amazing, especially in the skillet!! Thanks! 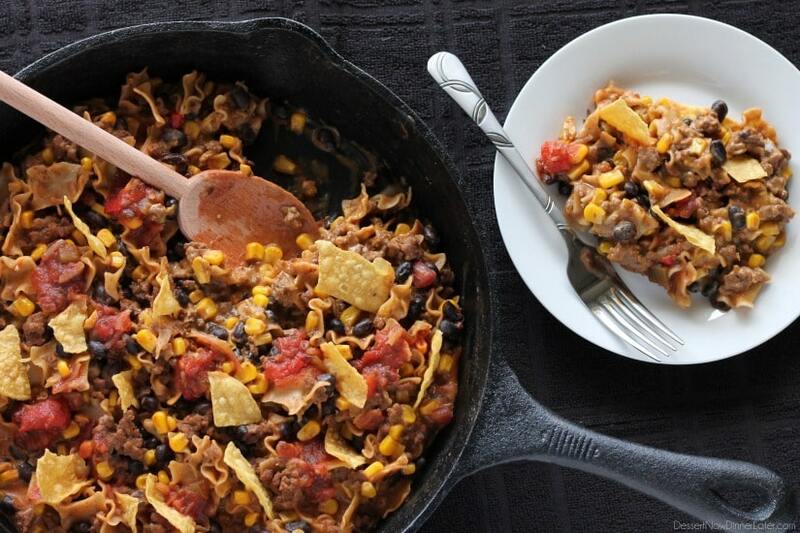 This skillet is so heavy duty it holds a ton of food!